The pope has made the statement that the popes can change the Inspired Scriptures to suit themselves anytime they choose. They have taken this privilege upon themselves already, but they did it without authority and against the Instructions of Yahweh and Yahshua Messiah. Notice further the Savior’s warning in the exact same chapter that shows you that you must keep Yahweh’s Commandments in order to receive Eternal Life. This cannot be changed. Yahweh’s Righteousness is required and there is no changing it. Those who try will have their part in the lake of fire. Those who follow the popes, who change these requirements, will also be rewarded, for these same sins, with the lake of fire. 13 But He answered, and said: Every plant, which My Heavenly Father has not planted, will be rooted up. 14 Let them alone. They are blind leaders of the blind. And if the blind lead the blind, both will fall into the ditch. If you could ask Yahshua or any of His twelve Disciples today how to receive Eternal Life, you would get the same answer that Yahshua gave before He was murdered two thousand years ago. 20 Teaching them to observe all things that I have commanded you. And lo, I am with you always, to the End of the Ages. The word translated observe as shown in the Greek dictionary of Strong’s Exhaustive Concordance means keep, as in keep the Commandments, and gives the following Scripture references. Teaching them what? Teaching them to do! Do you get that? Teach them todo all things that I have commanded them. What Yahshua commanded His Disciples and told them to teach, and what the Disciples did teach, is to keep Yahweh’s Laws. Blessed are those who keep His (Yahweh’s) Laws, that they may have right to the Tree of Life, and may enter in through the gates into the city. 24 Therefore, everyone who hears these sayings of Mine, and does them, is like a wise man who built his house on the rock. 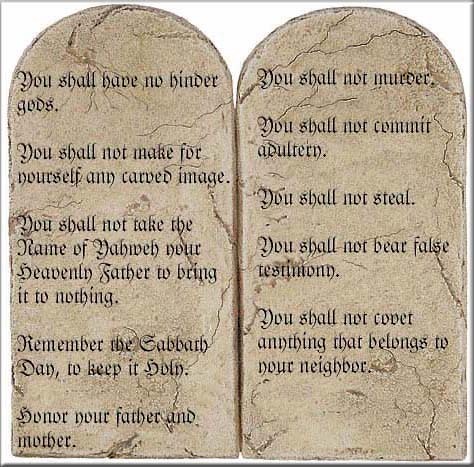 Notice, what Yahshua shows to be the Greatest Commandment. 39 And the second is like it: You shall love your neighbor as yourself. 40 On these two commandments hang; depend, all the Law and the Prophets. 44 You are of your teacher who is Satan the Devil, and whatever she who is your teacher desires, you will do. She was a murderer from the beginning, and remained not in the Truth, because there is no Truth in her. Therefore, when you speak your falsehoods, you speak her words, because she is a liar, and the teacher of alllies! 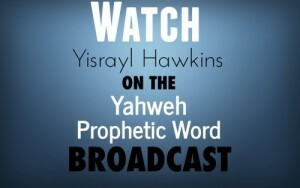 47 He who is of Yahweh hears Yahweh’s Words; the Laws and the Prophets. Now you do not hear, because you are not of Yahweh. So, What Is Sin And Do Those Who Practice Sin Truly Belong To Satan? The Disciples also said it. Satan cannot give life eternal, and it’s a lie that man has an immortal soul. Just read the following verse. This is Scriptural proof that man does not have an immortal soul. Yahshua said the same. And fear not them which kill the body, but are not able to kill the soul; but rather fear him which is able to destroy both soul and body in hell. The pope does not want you to keep the Fourth Commandment. If you choose to break one Commandment, you are judged quilty of choosing to break all of them, as Yaaqob 2:10 shows. The pope does not worship the Creator Yahweh. The pope worships the sun God, after which sun-day was named. The lust of his teacher he will do, as Yahshua said. So, what will occur to those who follow the pope in his unbelief? The lake of fire is not a pleasant way to end life, but it’s your choice. Yahweh prophesied that in the Last Days He would give power to Two Witnesses who would work under the High Priest Yahshua and establish Yahweh’s House in the chief of the nations to teach Yahweh’s Laws to all nations just before The End would come. Notice what verse 2 says. Now please notice this is a Prophecy for the Last Days, coming from a Prophet of Yahweh, who prophesying in the Name of Yahweh, showed that Yahweh’s Laws will be taught and the people will walk in Yahweh’s Path, not a path changed by a pope, who does away with Yahweh’s Laws. Now notice, we will have Yahshua, Who now sits at the Right Hand ofYahweh as High Priest over the Last Days’ Established House of Yahweh. The High Priest will be as the Prophecy of Micahyah shows, teaching Yahweh’s Laws, not the changed laws of the popes. What Will Occur To Those Who Refuse The Popes’ Laws? In verse 8, we see that Yahshua causes them to rest in obedience to the Laws spoken of by Yahweh in a day previously. Wow! Yahshua? Yahshua is the Prophesied Savior, Whose Name the popes removed from the Inspired Scriptures and replaced it with the names of two gods. Read it for yourself. Thus, the first ecclesiastical gathering in history was summoned and is today known as the Council of Nicaea. It was a bizarre event that provided many details of early clerical thinking and presents a clear picture of the intellectual climate prevailing at the time. It was at this gathering that Christianity was born and the ramifications of decisions made at the time are difficult to calculate. About four years prior to chairing the Council, Constantine had been initiated into the religious order of Sol Invictus, one of the two thriving cults that regarded the Sun as the one and only Supreme God (the other was Mithraism). Because of his Sun worship, he instructed Eusebius to convene the first of three sittings on the summer solstice, 21 June 325(Catholic Encyclopedia, New Edition, vol. i, p. 792), and it was “held in a hall of Osius’s palace” (Ecclesiastical History Bishop Louis Dupin, Paris, 1986, vol. i, p. 598). Also see the Catechism of the Catholic Church. Yahshua Messiah is High Priest over the Last Days’ House of Yahweh. Hebrews 4:8 shows that Yahshua will cause them to rest the Seventh Day Sabbath as Yahweh rested the Seventh Day Sabbath and urges you to be zealous in doing so. Yahshua, at this time, is putting Yahweh’s Laws into the hearts of those who desire life eternal, the Tree of Life. From that time Yahshua began to preach, and to say: Repent, for the Kingdom of Yahweh is at hand! Yahshua, the High Priest over the Last Days’ Established House of Yahweh, at this time is renewing the Covenant with Yahweh’s People. However, we who have believed do enter that Rest, as He has said: So I vowed in My Judgment; They will not enter into My Rest, although the works were finished from the foundation of the world. Those who will not believe? But the fearful, and unbelieving, and the abominable, and murderers, and whore-mongers, and sorcerers, and worshipers of gods (elohim), and all liars, will have their part in the lake which burns with fire and brimstone—which is the second death. Recommended reading: Birth of the Nuclear Baby and Mark of the Beast. We can help you achieve Yahweh’s Goal for you. Call, write or email us, but HURRY, there is little time left.